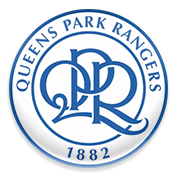 After suffering three consecutive losses in the Championship, QPR will be looking to return to winning ways in the Premier League when they host Birmingham City at their Loftus Road Stadium. The Hoops have been totally out of form of late and, as a result, they dropped to 14th place in the standings. The capital club are low on confidence ahead of Saturday’s football match, but seeing that they are tough to beat at home, we predict that they are going to share the spoils with Birmingham City on Matchday 31. The Blues, on the other hand, desperately needed a win against Nottingham Forest and they managed to get one. Birmingham City did well to put an end to their four-game winless in the English second tier, therefore, we believe that they are going to grab something from the Loftus Road Stadium clash. Tomer Hemed started his senior career at Maccabi Haifa, with the Israeli attacker making his first-team debut in March, 2007. He came as a substitute in a 2-1 defeat to Bnei Yehuda and two months later he scored his first goal for the club, against Maccabi Herzliya. On 21 June, 2011, Tomer Hemed signed a three-year contract with Spanish club Mallorca, where he spent three seasons. At the end of the 2013/2014 La Liga campaign, the Israeli striker joined Almeria and it has to be noted that he scored 8 goals in 35 appearances for the Segunda Division outfit. On 24 June, 2015 Hemed signed a three-year contract with Brighton for an undisclosed fee and he impressed in the 2015/2016 Championship campaign, scoring 17 goals for the Seagulls. Speaking of his international career, Hemed made his Israel debut on 4 June in a 2-1 win over Latvia. Three months later the Brighton striker scored his first goal for the Israeli national team, but he failed help his teammates avoid defeat to Croatia (1-3).